Caselotti, a first-generation American, her parents Italian immigrants, was born into a very talented opera-singing family. Her mother sang at the Royal Opera, and her sister went on to become a well-known voice coach and music teacher. Caselotti was only 18 years old when she was hand chosen by Walt Disney to be the voice of Snow White, in Disney's first ever feature-length animated film, Snow White and The Seven Dwarfs, premiered in 1937. She appeared in no other film other than The Wizard of Oz very briefly. She lived a full life, married four times, widowed three, and passed away in 1997 in Los Angeles, California. Woods got her start in show business at the ripe age of two, and was given a New York City radio show three nights a week as a 14-year-old. Her radio work continued to Chicago and then to California. Two good song-writing friends of hers, Mack David and Jerry Livingston asked her as a favor to record some of their newest songs, unbeknownst to her that they were songs for the new Disney film Cinderella. Upon hearing her voice on the recordings, Walt Disney chose her to voice the title role. Cinderella was released in 1950. Woods married at age 17, and had three children. Upon the birth of her last son, she retired from showbiz to be a full-time mom. She passed in 2010. Costa, born and raised in Knoxville, Tennessee, spent her life aspiring to be an opera star. Upon getting engaged to her future husband in 1952, she auditioned for the lead role of Aurora in Disney's Sleeping Beauty, which was eventually released in 1959. 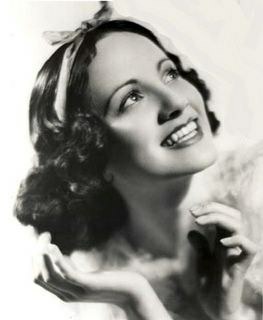 After the conclusion of her time as Aurora, Costa went on to be in 44 operatic roles throughout her career. She retired at the age of 70, and reappeared for the 50th anniversary celebration of Sleeping Beauty. She's a celebrity ambassador for many nonprofit organizations, including the American Lung Association and Childhelp. She also received the Disney Legend Award in 1999. Benson is one of the only famous princess voices who worked in animation and Disney film for an extended period of time after her the initial film was concluded. The Little Mermaid premiered in 1989, earning Benson some serious recognition and fan love. She was also a part of the cast for Toy Story 2 (1999), Flubber (1997), and Warner Brother's Thumbelina (1994) she also reprised her role as Ariel in The Little Mermaid: Ariel's Beginning (2008) and The Little Mermaid 2: Return to the Sea (2000). She also cameo-ed as Patrick Dempsey's assistant in the 2007 film Enchanted. She was nominated for an Oscar for her performance as Ariel, and won a Tony Award for her part on Broadway in Crazy For You. O'hara, a Florida native, received the role of Belle in Beauty and The Beast after a grueling, 14-month-long audition process. After the premiere of Beauty and The Beast in 1991, O'Hara returned to voice Belle in Beauty and The Beast: The Enchanted Christmas. She also appeared in the 2007 film Enchanted, as did Jodi Benson. She travels the country helping theatre groups put on productions of the retired Broadway version of Beauty and The Beast, and is often asked to perform or be present at Disney events. Upon the release of the 25th anniversary edition of the film, O'Hara received an exclusive special feature interview for the blu-ray disc about her journey entitled "Always Belle." She received a Disney Legend award in 2011. Larkin, known mostly for voice performances as princess Jasmine in the Disney films Aladdin (1992) Aladdin and the King of Thieves (1996) The Return of the Jafar (1994) as well as the Kingdom Hearts video game series. Larkin had to significantly deepen her voice for the role of Jasmine, a fact that got her much recognition after the release of the film. Her filmography includes films from 1990 all the way up to 2015. She's married to actor and musician Yul Vasquez, and is the aunt of the actress Vanessa Aspillaga. She was awarded with a Disney Legend award along with Paige O'Hara in 2011. 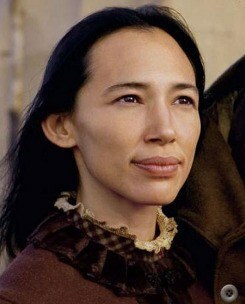 The descendant of an Alaskan native and a Canadian Cree, Bedard is best known as an actress for her voice part as Pocahontas in the film named for the character in 1995, Pocahontas 2: Journey to a New World (1998) and The Tree of Life (2011). Bedard was also the model for the physical characteristics of Pocahontas. 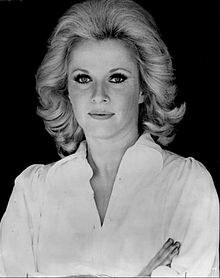 The rest of her career was as a producer, she worked side-by-side with her now ex-husband Denny Wilson. After her divorce from Wilson in 2012, Bedard has taken a serious step back from the film making industry, yet to return. Traveling internationally as a toddler from Hong Kong to New York, Wen struggled to fit in in American schools with a foreign name. 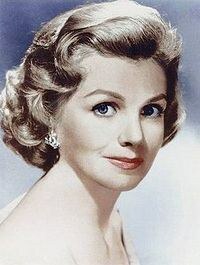 She created other name aliases, such as Maggie and Doris. She found her love for acting in third grade and went on to achieve a degree in theater against her mother's wishes. 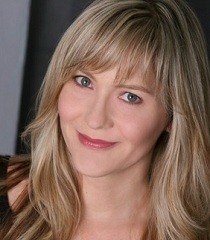 She landed her first acting role in 1988 on the popular soap opera As The World Turns. She got her big break when she was cast in the The Joy Luck Club in 1993. She performed as Mulan in Mulan in 1998. She dropped her last name, Wen, in the mid-90's and now only is referred to as Ming-Na, and has expressed no interest in reprising the role of Mulan. She is currently a screenwriter living in Los Angeles. So there you have it avid Disney fans, some background on some of the most famous faces of the animated big screen. Reading about the history of these fantastic women astounds me, and excites me for what Disney will come up with next. There are still generations of Disney princesses to come, and I can't wait to see who's next.